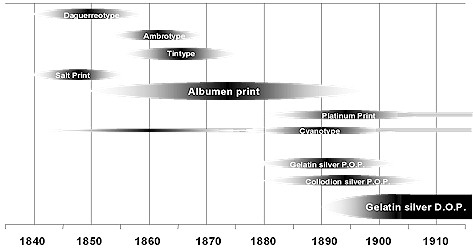 This timeline presents the major photographic print processes used during the 19th Century. Click on the process name for more detailed information on each process and for illustrations. Click here for information about the timeline.